James McGovern, Democratic congressman for Massachusetts, is a strong supporter of bilateral rapprochement. Cuban President Miguel Díaz-Canel during a meeting with U.S. Congressman James McGovern (center-left) in Havana. Díaz-Canel received this Saturday the congressman, a strong defender of bilateral rapprochement with whom the president addressed the state of relations between both countries. 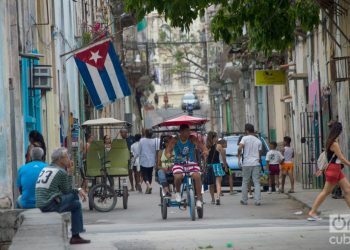 Photo: Estudios Revolución/Presidencia de Cuba/EFE. 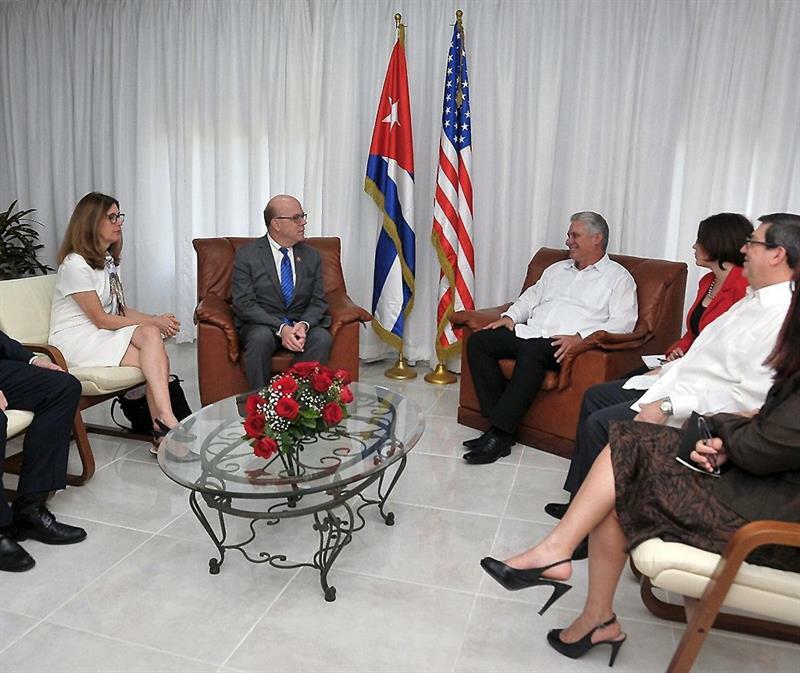 Cuban President Miguel Díaz-Canel received this Saturday U.S. 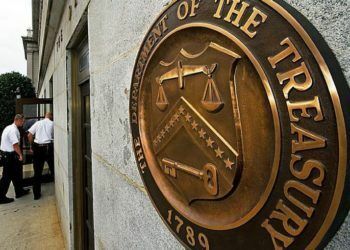 Congressman James McGovern, a firm supporter of bilateral rapprochement, with whom the president addressed the state of relations between the two countries, which have declined after Donald Trump’s arrival to power. McGovern, Democratic congressman for Massachusetts and president of the U.S. Congress Committee on Rules, is visiting the island this week to mark the inauguration of a center for the conservation of writer Ernest Hemingway’s documentary heritage in what was his Havana residence, Finca Vigía. U.S. 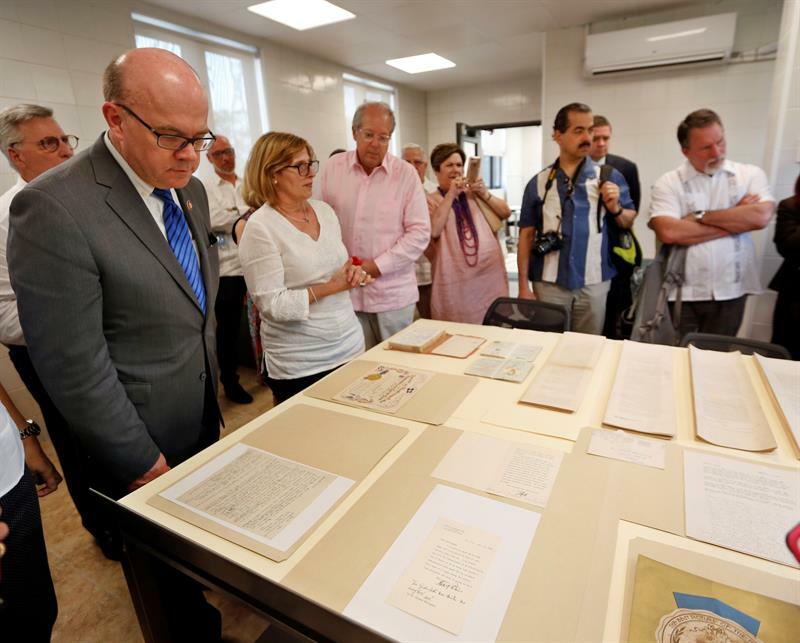 Congressman James McGovern (left) and the president of the National Heritage Council of Cuba, Gladys Collazo (second to the left), visiting the Ernest Hemingway Museum Restoration Center in Havana this Saturday. 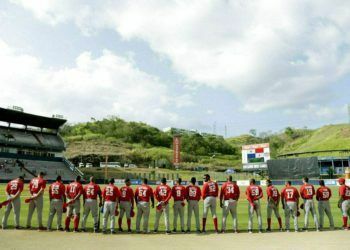 Photo: Ernesto Mastrascusa/EFE. 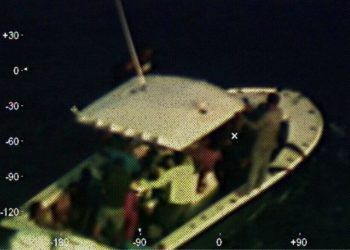 According to the brief official note on the meeting, the congressman was accompanied by Donald C. Sisson and Katheleen Polanowiez during the meeting with Díaz-Canel, while on the Cuban side, Foreign Minister Bruno Rodríguez and Assistant Director-General for the U.S. Johana Tablada de la Torre participated. 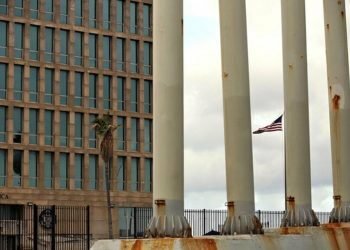 The lawmaker, who has visited the Caribbean country on numerous occasions, this Friday urged his country’s Congress to initiate actions to lift the financial and commercial embargo and restrictions on travel to Cuba, although he admitted that the initiative would not prosper while the Senate continues in the hands of the Republicans. U.S. 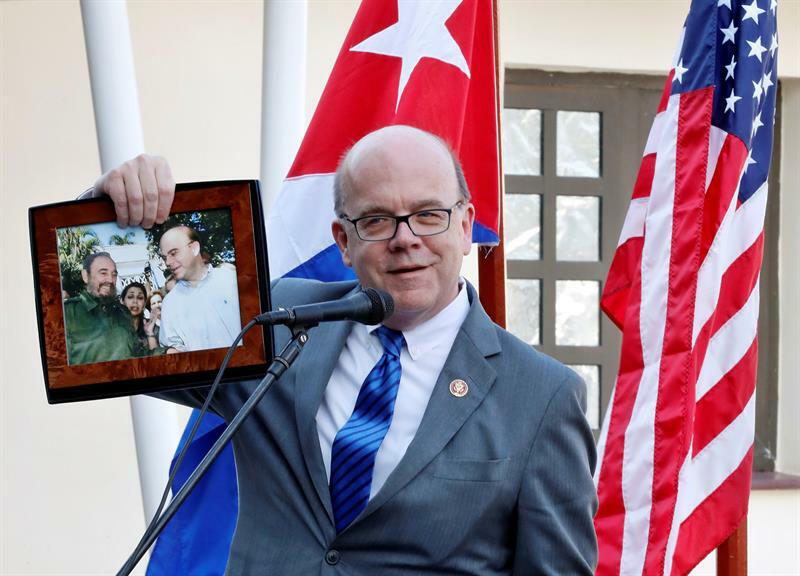 Congressman James McGovern shows a photograph of one of his meetings with Fidel Castro, during the inauguration ceremony this Saturday of the Ernest Hemingway Museum Restoration Center in Havana. Photo: Ernesto Mastrascusa/EFE. 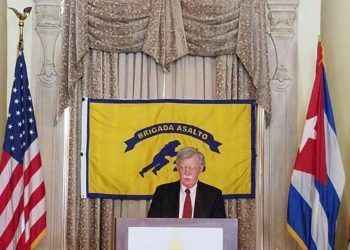 He also stressed that the majority of the American people as well as the members of the House of Representatives want better relations with Havana. McGovern also participated this Saturday in the inauguration of some facilities for the preservation of the documentary heritage that Hemingway left in his Havana home where he lived for several years and which constitutes one of the first and most lasting projects of academic and cultural collaboration between Cuba and the United States. 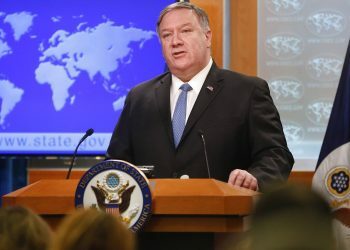 The visit of the Democratic congressman is taking place at a low moment in relations between the neighboring countries, which have deteriorated because the Donald Trump administration has reversed the policy of rapprochement of his predecessor, Barack Obama. 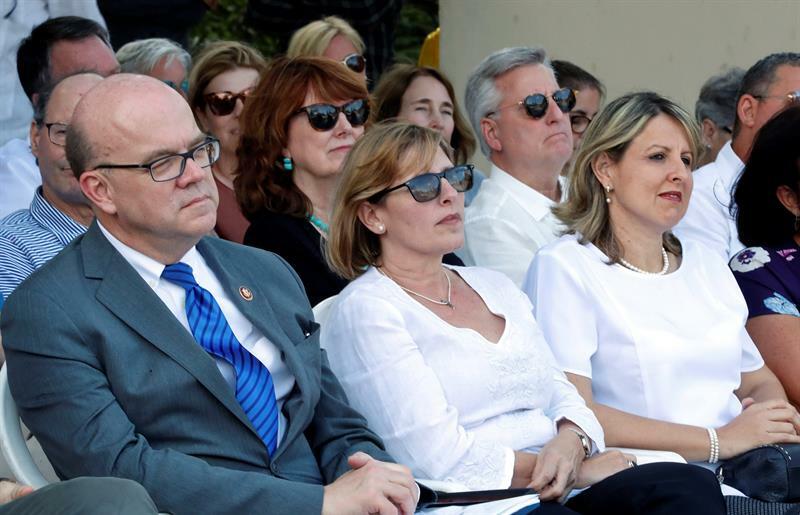 McGovern, the president of the National Heritage Council of Cuba, Gladys Collazo, and Cuban Deputy Minister of Culture Kenelma Carvajal at the inauguration of the Ernest Hemingway Museum Restoration Center, in Havana. Photo: Ernesto Mastrascusa/EFE. The two countries announced the normalization of their relations in December 2014, after more than half a century of enmity, and materialized the “thaw” in 2015 with the mutual reopening of embassies. 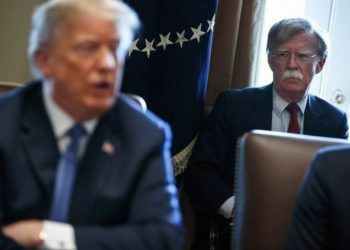 However, after the arrival of the Republican leader to the White House, who was against this process, bilateral ties have tensed again, a situation aggravated by Washington’s hostile rhetoric, the strengthening of sanctions on the island and Cuba’s support to the government of Venezuelan President Nicolás Maduro. Blanca Rosa Blanco: "I'm afraid of labels"